These are just some of the deals credit card companies use to get our attention. They sound great—who wouldn’t want a free flight?—but the deal is never as sweet as it seems. Does it look like a good deal to you? It might be if you’re disciplined, never overspend and always pay off your credit card balance before it starts earning interest. 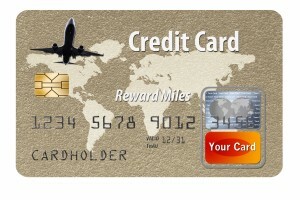 But the credit card company and airline are betting otherwise. They’re playing the law of averages which tell them that the average Australian credit card holder has a balance of $4300 and pays around $700 in interest every year. Suddenly that free flight looks pretty expensive! Before you sign up for a credit card deal, make sure you dig deeper into the details. And remember that the only way for a credit card to work for you is to pay the balance in full every month and never use it for cash advances — when you withdraw cash against a credit card, it begins attracting interest immediately.